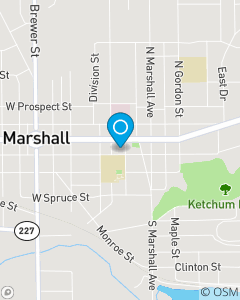 Located in downtown Marshall behind the Post Office and across the street from the Bogar Theatre. We want to be the customer's first choice for insurance needs in the Marshall area. We focus on Auto Insurance, Home Insurance, Renters Insurance, Life Insurance and Health Insurance in the Marshall, Tekonsha, Homer, Bellevue, Olivet, Jackson, Battle Creek, Union City, Galesburg, and Kalamazoo areas. Ryan has 8 years of insurance experience. Melissa has 11 years of insurance experience. Jessica has 8 years of insurance experience.